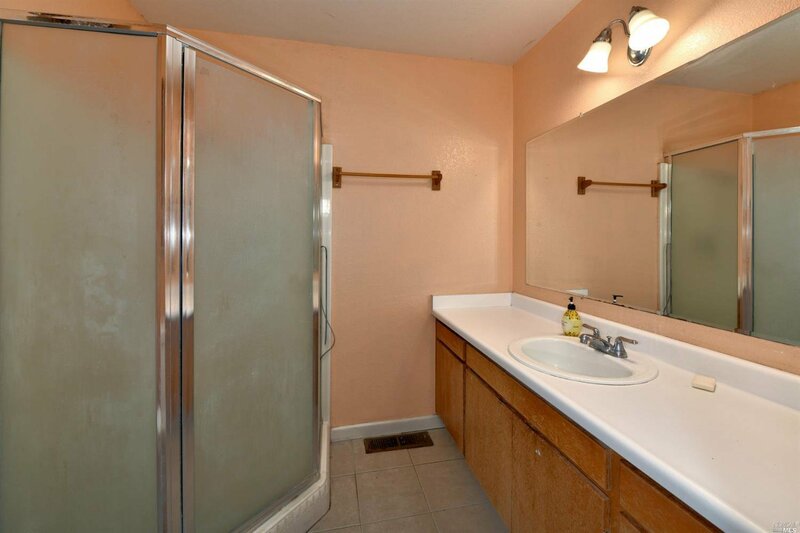 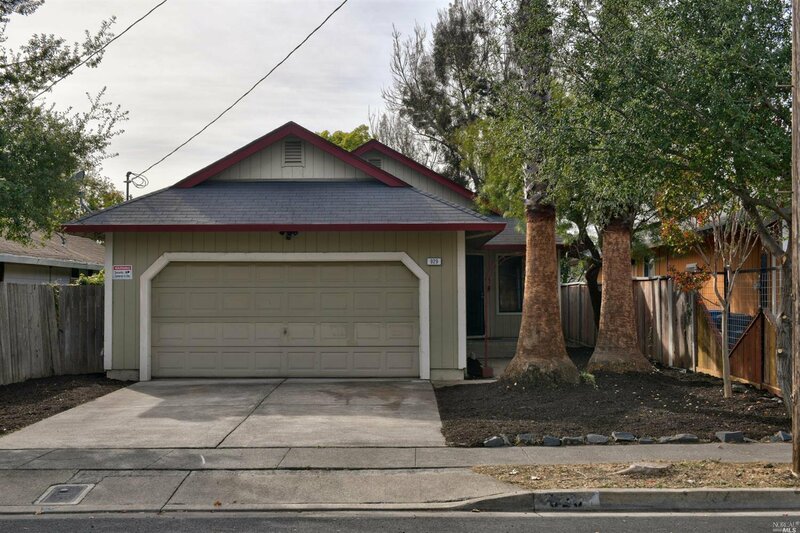 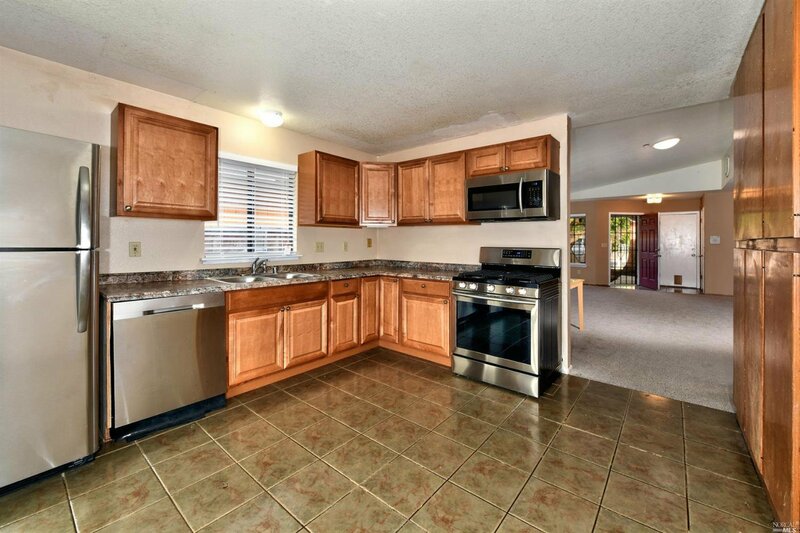 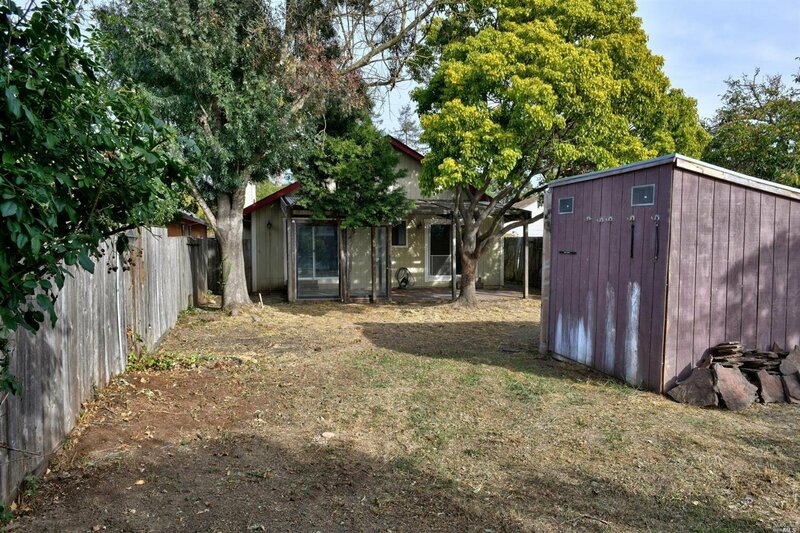 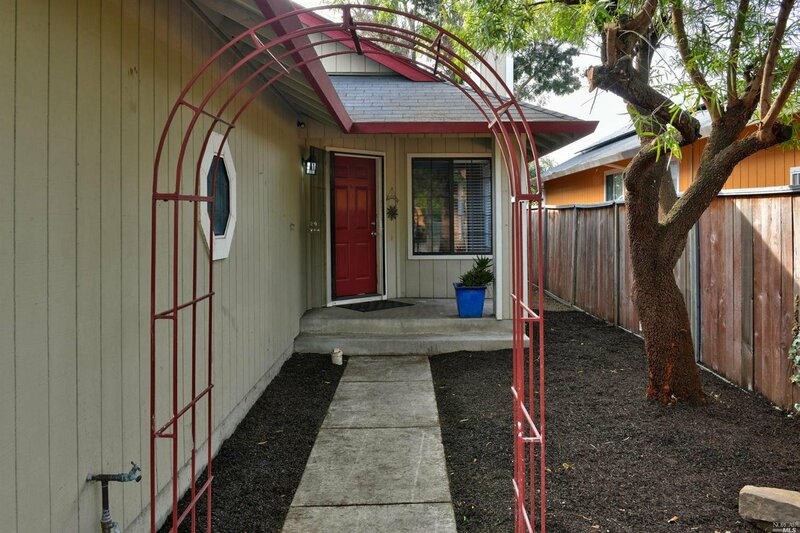 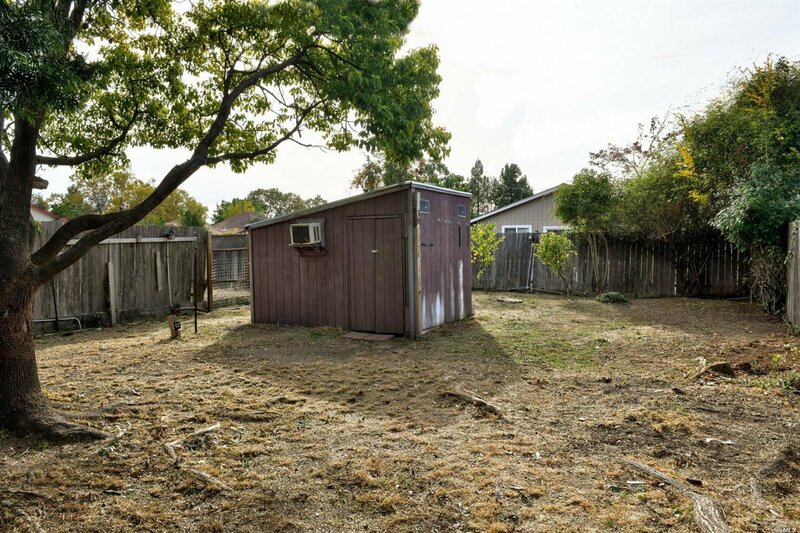 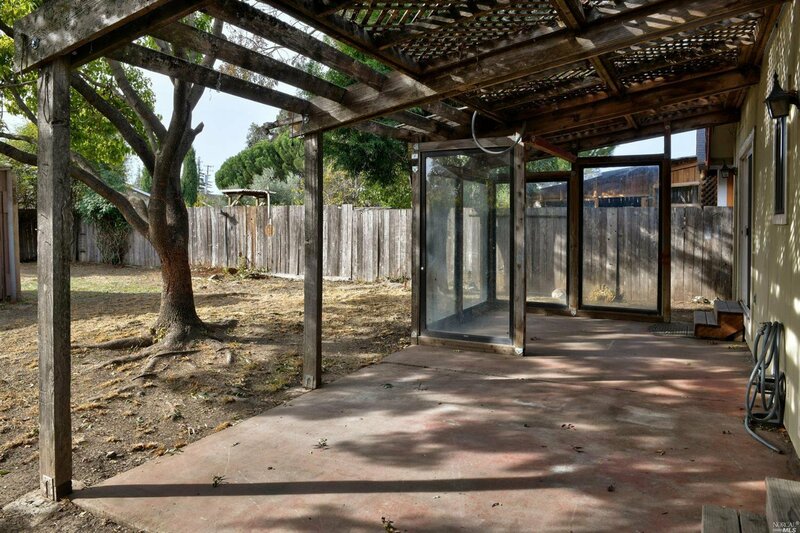 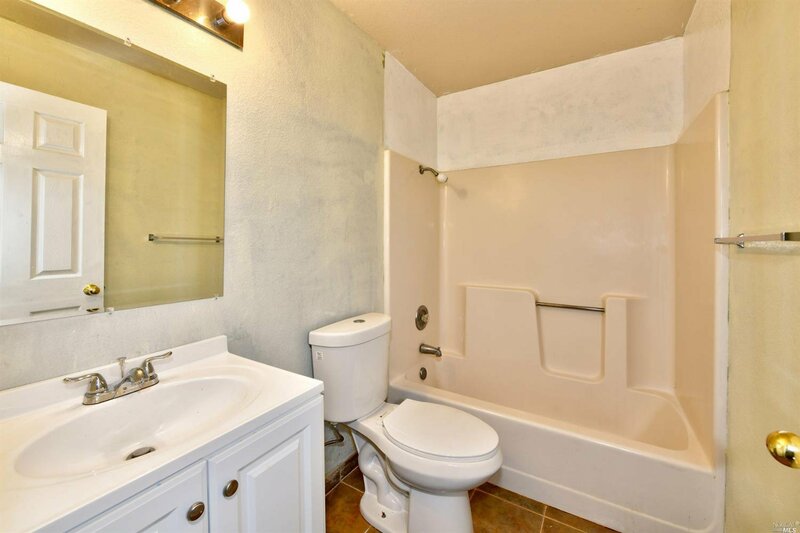 Cheerful 3 bd, 2 bath home on deep large lot. 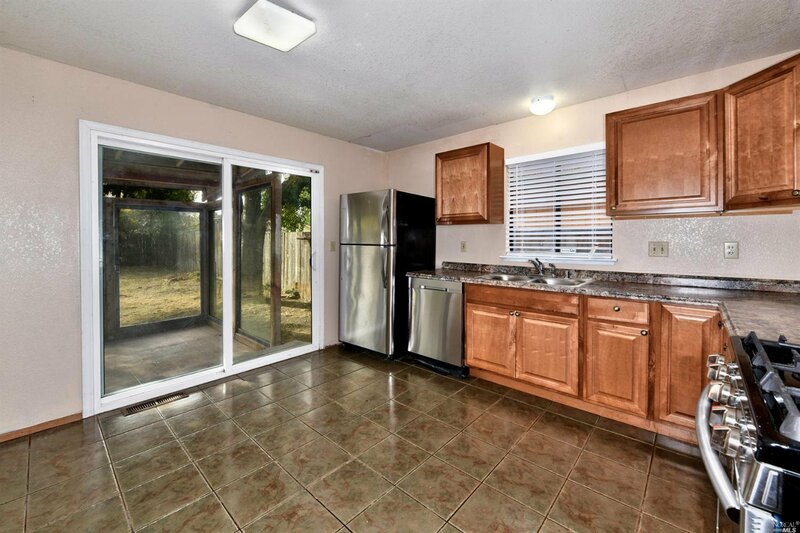 Garden entry to open living-dining- kitchen looking right through sliding glass doors to covered patio. 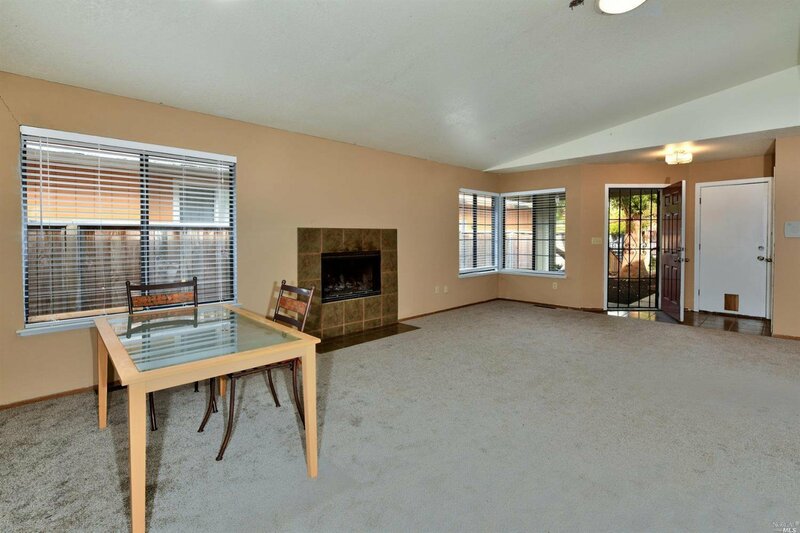 Fireplace in vaulted ceiling living room. 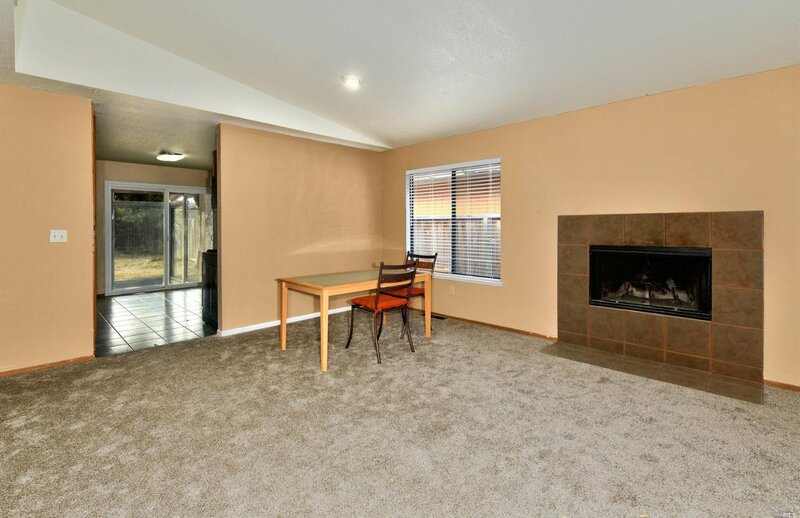 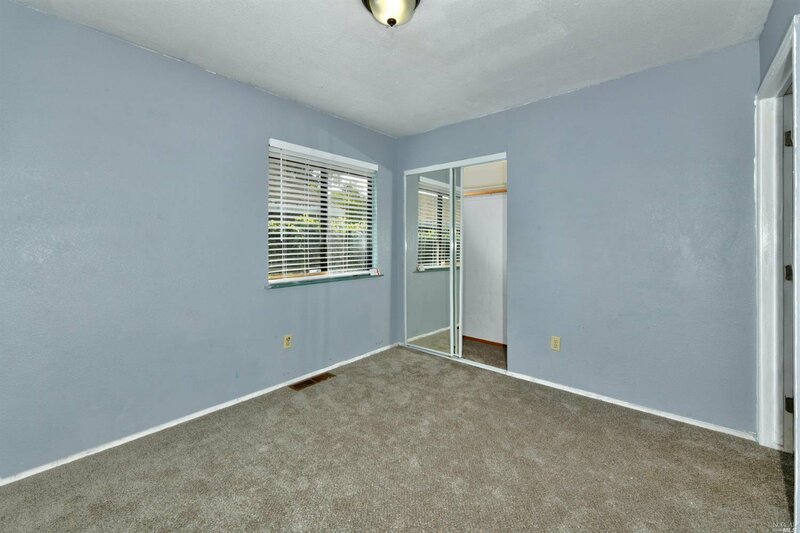 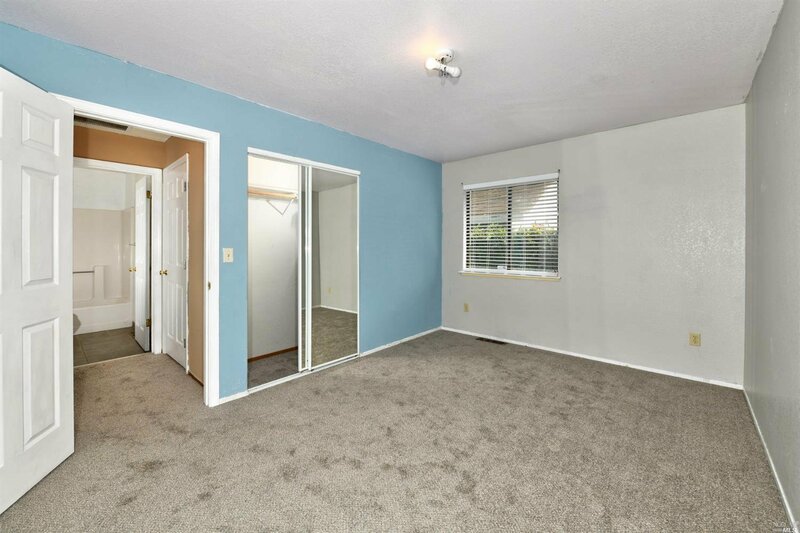 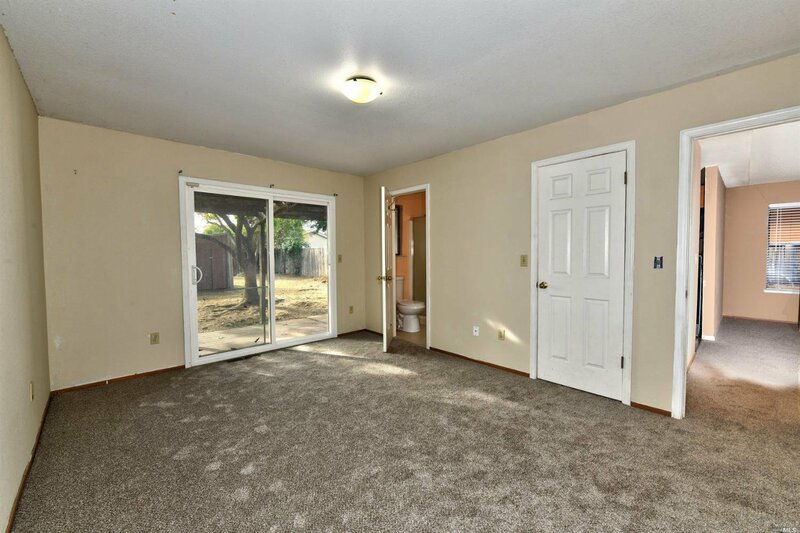 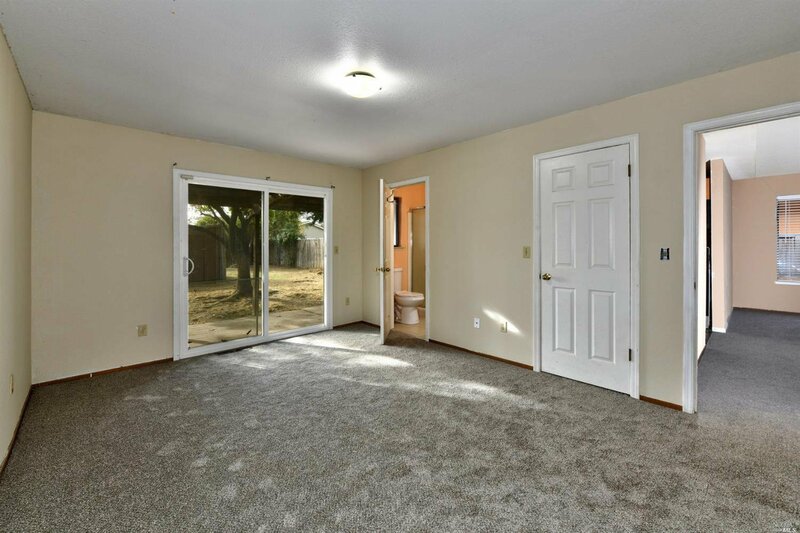 Master bedroom has sliding glass door to rear patio.